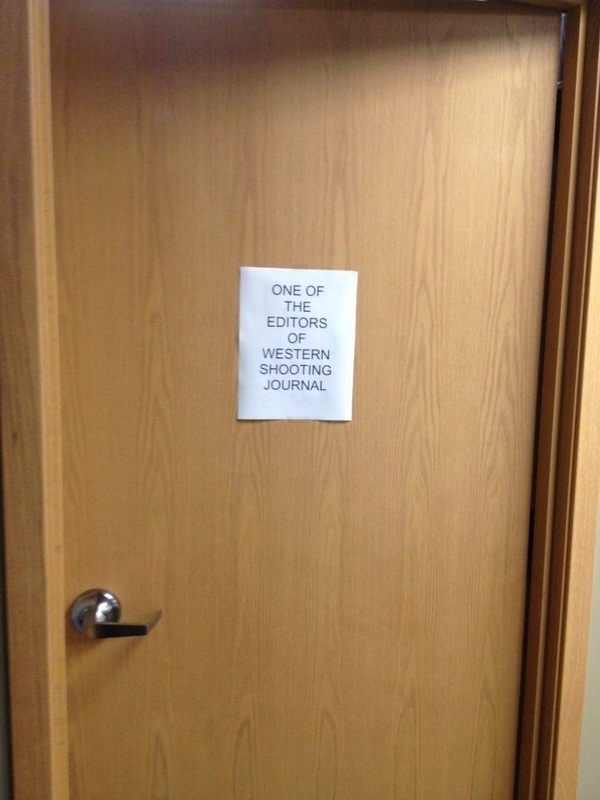 Always interesting how you say you are "THE editor at Western Shooting Journal" instead of "AN editor". That's the same type of self-inflating crap Andrew Thomas pulls. I got a kick out of it. There is only one other editor listed on our masthead, the executive editor, and he has his own separate magazine which he is the editor of. He looks over my magazine for typos, but his role in my magazine is probably less than 5%, I do almost everything except layout and ads, which is done by our design department. I travel around the country interviewing celebs and gun stars for the magazine, etc. So yeah, I am THE editor. Appropriately, I posted this sign on my office door today.